View More In Nature Exploration Toys. 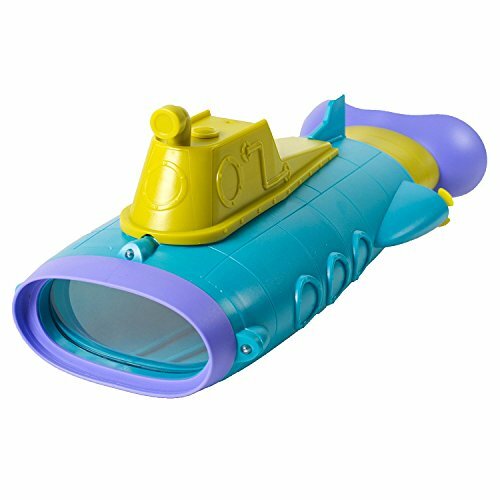 Curious minds can discover wonderful underwater worlds-without getting their heads wet-with this super submarine-shaped scope! Kids simply submerge the scope into the water and check the view for an up-close look at underwater life. The focus-free scope offers a 2x magnification and includes 3 LED lights to illuminate dark, underwater spaces. Two large eyepieces with comfy goggle and nose cut-out make it easy for kids to place their eyes perfectly, and, with a wide field of view, kids are able to understand what they're seeing. The Sub Scope is perfect for STEM learning and pretend play! Kids can see what's underwater-without getting wet!